The LORD God told me to do deliverance sessions in 2012. As I obeyed His specific instruction, I was getting too relaxed in expecting demons to leave quietly. Then the LORD allowed them to speak as I was ministering FIRE prayers to His dear child Farah. Farah is from Haiti and was dedicated to Satan before her birth. Therefore, there were MANY demons in her. 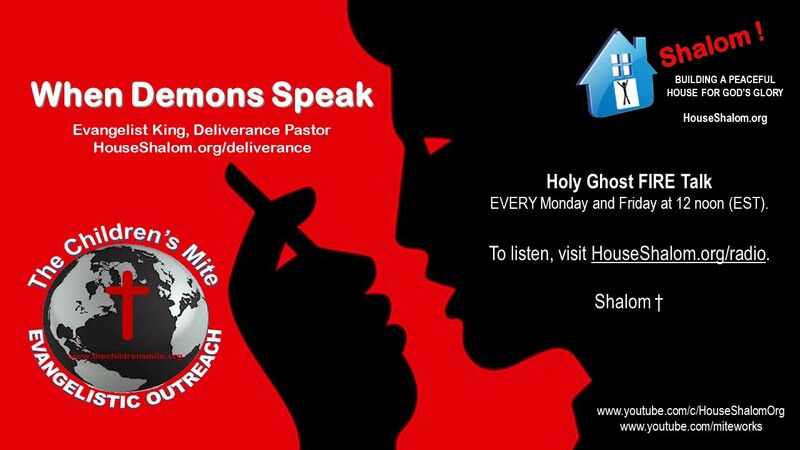 Tune in and listen to just a portion of her deliverance where the demons spoke. This session TRULY taught me to NEVER get use to a certain method because the LORD God will change it as He sees fit. Selah. 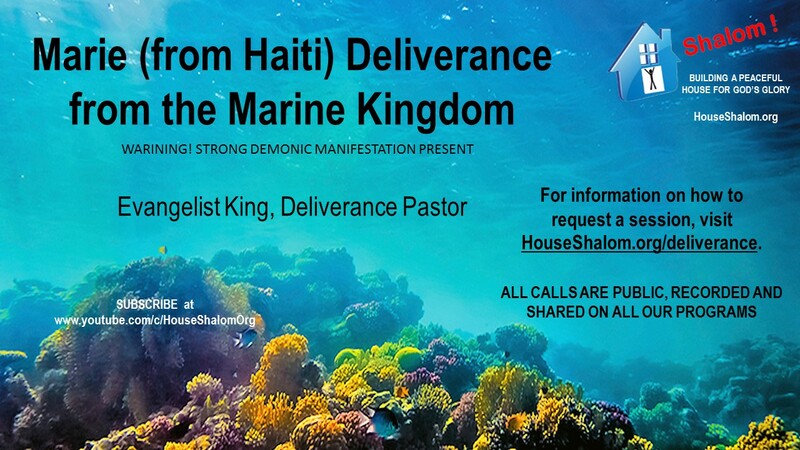 Evangelist King hosts call-in deliverance sessions on Wednesdays and Thursdays at 2:00 pm (EST). 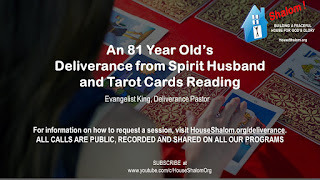 To request a session; for details, visit HouseShalom.org/deliverance. Shalom. 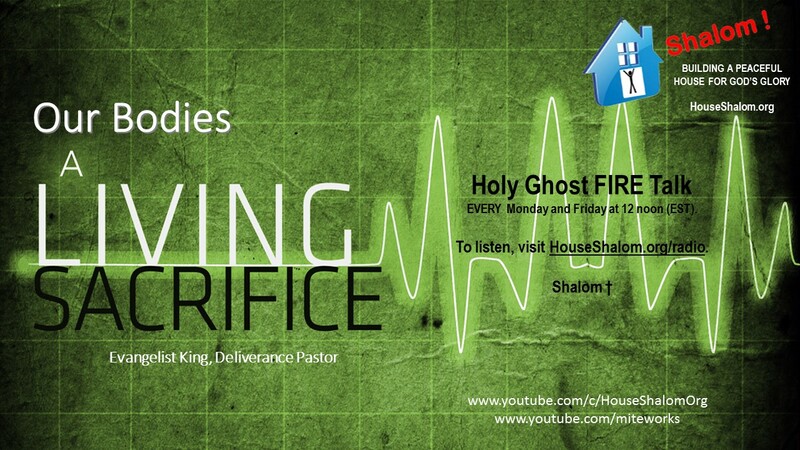 From our Holy Ghost FIRE Deliverance Meetings. 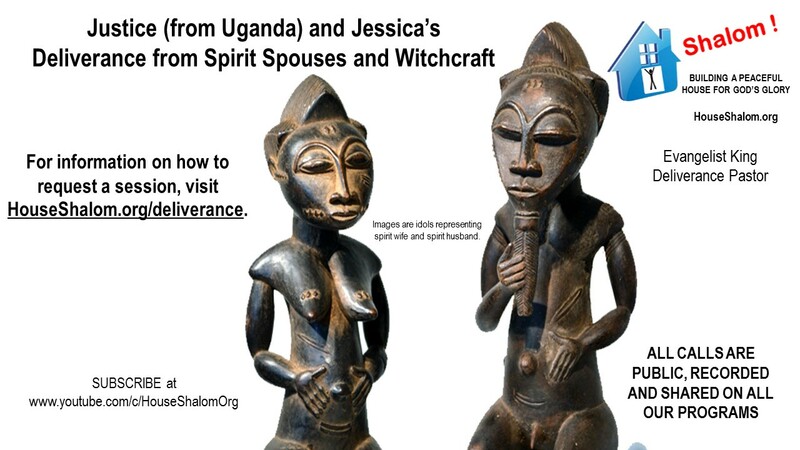 For date/location, visit Deliverance.Center. 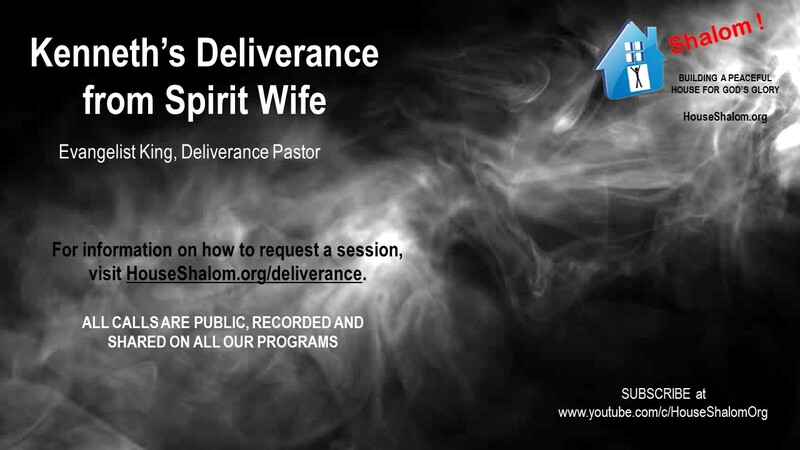 For meeting date and location, visit Deliverance.Center. To request a session; for details, visit HouseShalom.org/deliverance. Not only that, but we also who have the firstfruits of the Spirit, even we ourselves groan within ourselves, eagerly waiting for the adoption, the redemption of our body. 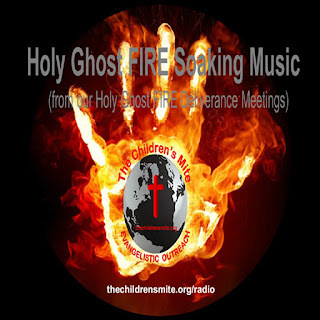 Tune in and listen to the Holy Spirit talk to you! 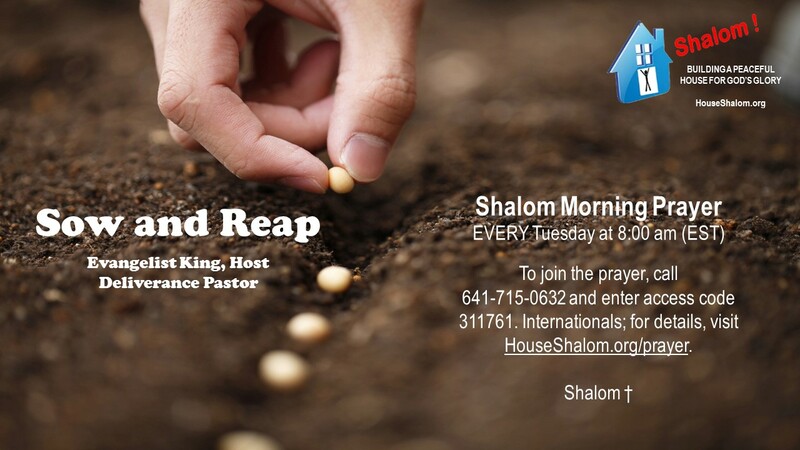 Shalom Morning Prayer EVERY Tuesday at 8:00 am (EST). Call 641-715-0632 and enter access code 311761. Internationals; for details, visit HouseShalom.org/prayer. Shalom. WARNING! Strong Demonic Manifestations are Present. 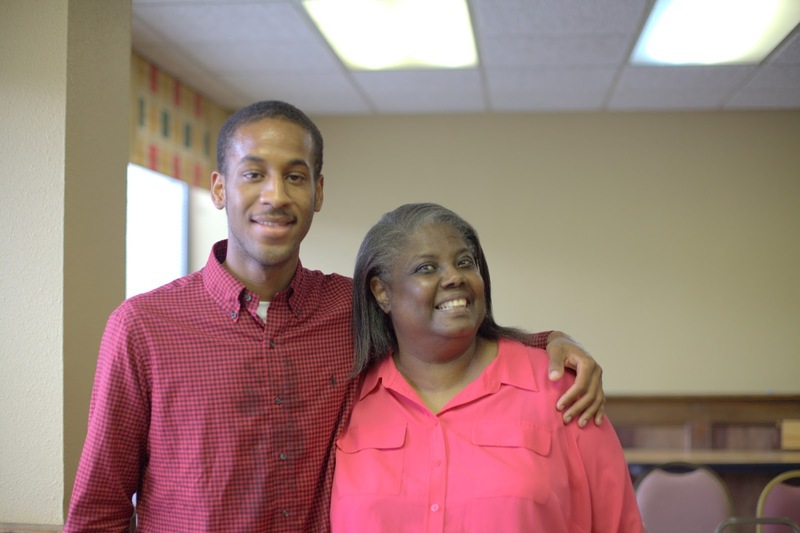 Latisha surrendered her life to the LORD God at the age of 18 during a church service. The person prayed for her and demons manifested. She was only 100 pounds and it took about 4 men, including a heavy-set police officer, to hold her down. After the ordeal, she felt something was STILL in her. Over the years, she grew in the knowledge of the LORD; but something was STILL wrong with her. She could not get a TOTAL breakthrough. She attended MANY churches that held deliverance and due to watching their methods of deliverance, she was fearful about deliverance. The LORD God led her to our program. She called and scheduled a session. As the LORD ministered to her, through me, the Holy Spirit revealed the "root" cause of her problem. From the ages of 5-8 years old, she was sexually molested multiple times in which boys would fondle her in the classroom. 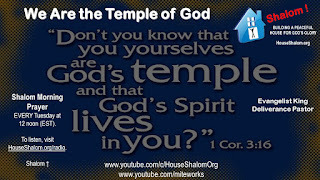 This opened the door for sexual demons to attach in her life because her parents rejected the covering of the LORD God. Numerous times she had marriage proposals; but suddenly, the person would call it off due to strange reasons. 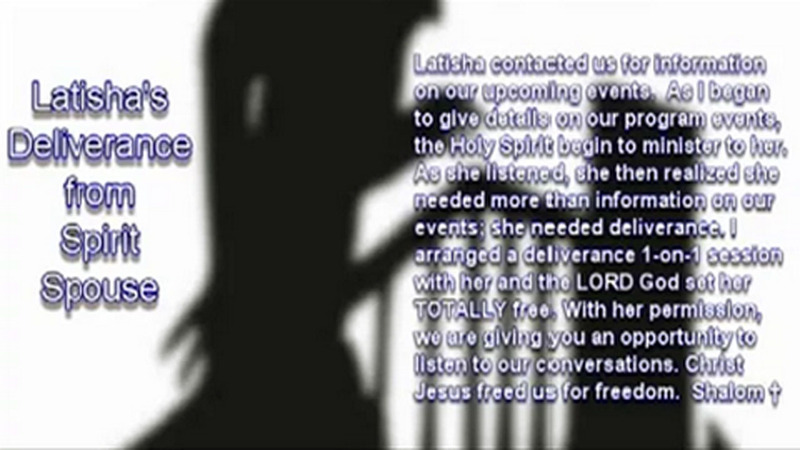 As the LORD ministered to her, through me, I felt the spirit of fear whispering suggestions to her. I then assured her that there would not be any manifestations as she experienced in the past. I then, by faith, disconnected her from EVERY spirit that were not of the Holy Spirit and applied the Blood of Jesus over EVERY known and unknown covenant and contract to dissolve it. I confronted the spirit husband in her life and commanded it to pack its load and leave in Jesus' name. 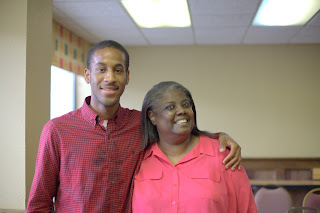 At the end of her session as I was ministering the Word to her, I asked her to begin to say, "Thank you, Jesus." It was then I felt a long silence and heard a voice grunt, uh-uh, which means no. I immediately shifted from a loving voice to a stern voice and reminded that demon to turn loose and leave her. I felt it was trying to hold onto her and refusing to leave. I reminded it that she was purchased with Jesus' blood and Jesus owns her and it no longer has any claim to her. I commanded FIRE of the HOLY GHOST ALL OVER HER BODY. I then heard it leave and knew, by faith, it had left. Then I asked Latisha to repeat words after me in which she thank the LORD for setting her TOTALLY free in her soul (mind, will, emotions) and body. She felt a little weak after the warfare, but praising and thanking the LORD for the lightness she was feeling. She then stated that she heard a voice say that it is done. She was free. Shalom. Justice and Jessica had already planned to attend the Holy Ghost FIRE Deliverance Meeting next week, but decided to still call our Deliverance Conference Line. 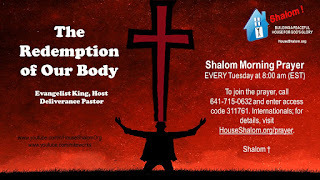 Tune in and listen to hear why the LORD God also wanted them to call in this week. 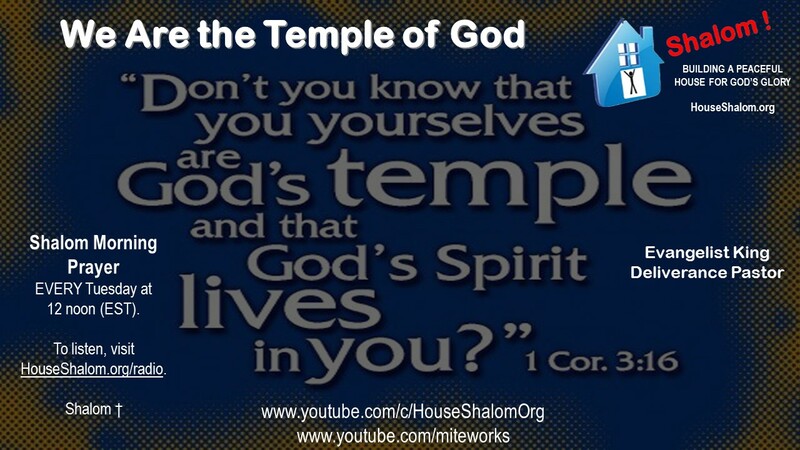 Listen to the Holy Spirit talk to you! Selah. A soldier in Armed Forces who is placed in the battle can receive personal or distant attacks from their enemy, LIKEWISE the child of God. 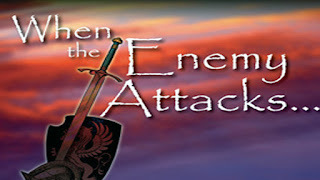 The difference is even though in worldly battles one may receive bodily harm from distant or personal attacks from their enemy, it's not so in God's army. 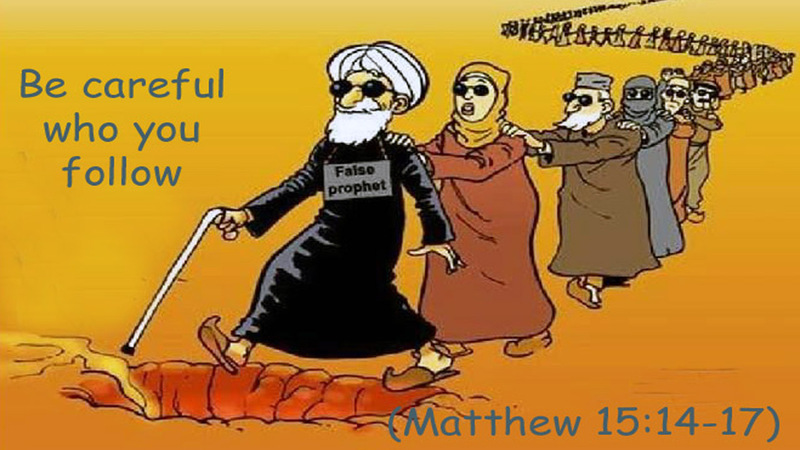 A person who has submitted them self to God, the Evil One and his followers can ONLY attack them from a distant-meaning from a position of being far away. For James 4:7 says, "Submit yourselves therefore to God. Resist the devil, and he will flee from you." The word "flee" means "to run away, take flight or take off". Satan's ONLY objective or intention is to destroy a person's faith in God-to destroy their faith in believing God's word. When a person submits to God, their act of obedience closes EVERY door to disobedience, which is the door Satan ALWAYS use to enter into a person's life; and the LORD give the person strength to resist or counterattack the devil. This is when Satan flees or run away from the person. Now Satan does his attacks or warfare against the person from a distant-meaning from a position of being far away. This is known as "distant" attacks. EVERY child of God should expect this type of attack from Satan. Jesus Christ did and so should we. Psalm 34:17 and 19, "The righteous cry, and the LORD heareth, and delivereth them out of all their troubles. Many are the afflictions of the righteous: but the LORD delivereth him out of them all. John 14:30-31 (MB), "I'll not be talking with you much more like this because the chief of this godless world is about to attack. But don't worry-he has nothing on me, no claim on me. But so the world might know how thoroughly I love the Father, I am carrying out my Father's instructions right down to the last detail. "Get up. Let's go. It's time to leave here." Luke 4:28-30. 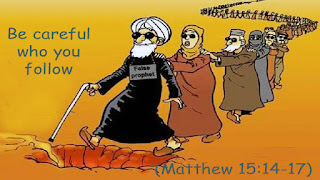 "And all they in the synagogue, when they heard these things, were filled with wrath, And rose up, and thrust him out of the city, and led him unto the brow of the hill whereon their city was built, that they might cast him down headlong. But he passing through the midst of them went his way." 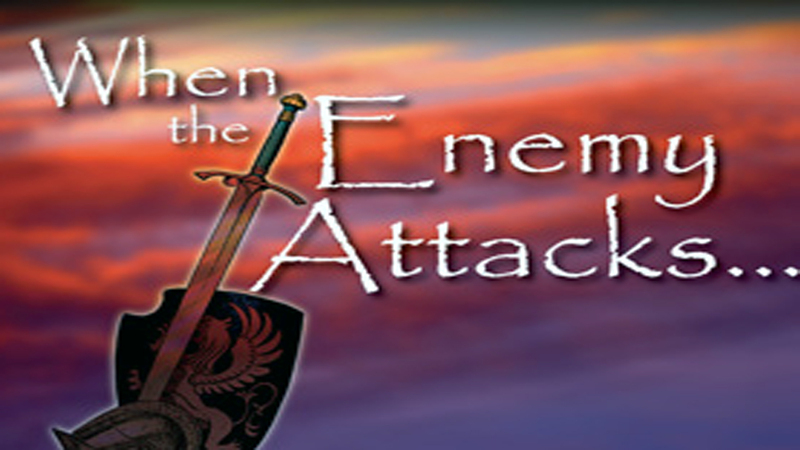 Distant attacks are NOT attacks from Satan where a person has and is experiencing bodily harm. This type of attack falls into the next category known as a personal attack. Personal attacks from Satan stems from an individual's failure to submit to God, which includes but not limited to, bodily harm (e.g., hearing voices, seeing or hearing demons in the spirit realm without the leadership of the Holy Spirit, receiving scratches and/or bite marks on the body, feeling movements in the body, bones being broken in dreams, and more). Rather knowingly or unknowingly, the person opens the door to disobedience for Satan to come through to personally afflict harm upon them. 1 John 3:8, "He that committeth sin is of the devil; for the devil sinneth from the beginning. For this purpose the Son of God was manifested, that he might destroy the works of the devil." During Jesus' earthly ministry, Satan could not get close enough to Jesus and personally harm Him because he NEVER opened the door to disobedience. Therefore, Satan, His Enemy could ONLY attack Jesus from a distant, which is from the position of being far away. When the day came for Jesus to finally fulfill His ministry according to 1 John 3:8, it was ONLY then Satan was allowed to get close enough to Jesus and afflict physical and bodily harm to Him. Why? Jesus Christ knew no sin. He NEVER disobeyed His Father. So in order for Him to save or prevent Satan from not only stealing or destroying us; but to prevent Satan from also killing us, Jesus became "sin" in our place. Sin is rebellion and disobedient toward God-against ANYTHING and EVERYTHING He say. Sin is "the door" Satan ALWAYS use to enter into this realm. So when Jesus Christ became "sin" in our stead, even though He knew no sin, this gave Satan's permission to finally touch Him and to personally afflict EVERY type of affliction onto Jesus' body and to finally kill Jesus. This was the ONLY time Satan could grab onto Jesus and it was by the Father's will for Satan to do so. Now I say that to say this. Because of Jesus' actions, we have been given access to God by the Holy Spirit. Christ Jesus NOW lives in us-born again Believers. Therefore, IF we continue to live a lifestyle submitted to God, then Satan CANNOT hold his grip onto us. For God says in Ephesians 6:12, "For we wrestle not against flesh and blood, but against principalities, against powers, against the rulers of the darkness of this world, against spiritual wickedness in high places." IF you are born again and are experiencing personal attacks-which are attacks where Satan has and/or is bodily harming you, then there is an "open" door to disobedience in your life. I know you know what it is because even before a person commits the open act to disobedience, the Holy Spirit ALWAYS warns them. The LORD says, "Repent and sin no more." 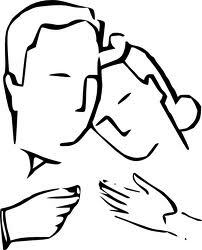 James 5:16 (MB), "Make this your common practice: Confess your sins to each other and pray for each other so that you can live together whole and healed. The prayer of a person living right with God is something powerful to be reckoned with." Living in a society that stresses “Look out for number one”, there appears to be an over abundance of “Number One’s”. Who is “Number One” to you? Do you consider yourself “Number One”, or is there a “Number One” in your life? Married couples should have a “Number One”. Physically speaking, a married couple has a “Number One” — their spouse! Spiritually speaking the married couples’ “Number One” should be Jesus Christ! Often times couple who may be struggling with different marital “stresses” look at one another to find fault and somewhere to place blame. Is it your spouse’s fault? More times than none, it’s probably your own fault. Why? Where is your focus? What are you focusing on in your marriage covenant? Is it the “Holy Contract” that you made with your spouse and God? It’s important to keep in mind the seriousness of that agreement! All too often we hear about separations and divorces. These can be avoided if we would refocus and remember our responsibility and remain where we are! Remember your focus point. Look to Christ, then spouse, children. Remember all of the sweet, polite, caring, and kind things you did and said when you first met and started dating. The way you acted when you went out for dinner or to a movie. You treated one another as if he/she was a king or a queen. You went out of your way to make sure things were as near perfect as possible. There were sweet notes, flirting and you constantly held hands. Now that you’ve been married for some time, some of those things have changed or simple not done at all. You’ve gotten used to one another, maybe you haven’t gotten used to one another and you are just existing. There is always something to distract your attention. Pressures at work, the children needing attention, financial problems, problems at church and so on. It appears that no matter where you turn, there is some sort of distraction. Where is your attention focused? Is it focused on yourself? Others? Most importantly — is your attention focused on your spouse? More important than that, is your attention focused on Jesus Christ? Remember who brought the two of you together. Your meeting one another was no accident or something that happened by chance. God the Father saw that it was “Not good for man to be alone. I will make a helper who is right for Him” (Genesis 2:18). So we see that our marriages are in fact — Made in Heaven. We need to remember that God wants us to treat one another with the love and mercy that He has shown us personally! When the children of Israel were “slaves” to Pharaoh, they begged and pleaded for their release. Some of the pleadings that may have gone up re “Send us someone to help us. Something needs to be done.” God answered their prayers by sending Moses to lead them out of captivity. God hears our prayers when we plead with him — remember those “pleadings” for a mate? God answers our prayers even when we don’t take into consideration the responsibility that may come with those answered prayers! We have a responsibility to our mates. We’re responsible or our mates’ well-being, in the physical sense, emotionally. On the day you exchanged vows, whether before a magistrate or a minister, you made a promise, a vow before God to love, cherish, honor, and obey your spouse. You vowed to — Forsake All Others. This vow or covenant, next to baptism is the most important vow or covenant we can make with someone. We have a responsibility to do everything in our “physical” power to uphold this covenant. We are responsible for respecting one another by obeying the will of Christ which is to obey each other, to love each other and to help each other! Ephesians 5:22 says, “Wives, yield to your husbands as you do to the Lord, because the husband is the head of the wife, as Christ is the head of the church. In other words, wives, respect your husbands as you respect Christ, however, do not put your husband above Christ. In some cases the wife is the only one saved in a marriage. This is not a just cause for the wife not to fulfill her duties as a wife to her husband. And vice versa — a saved husband should not put demands on his unsaved wife. No demands should be made by either spouse! In verse 25, Christ instructs husbands to love their wives as He loved the church and gave himself for it. 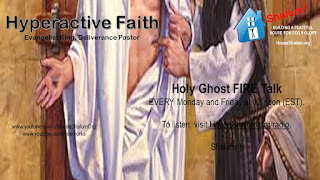 Christ made the ultimate sacrifice by giving his fife in order to “take are” of the church! Husbands, are you willing to give up what you have for your wife? Christ did so that the church could be pure and without fault. We should live our lives not to cause sin in someone else or to bring sin on them! Strive for righteousness in your life, in your marriage and in your families. It is so easy to get caught up in the “things of this world”. The saying “Everything that glitters is not gold” is indeed true! Satan will stop at nothing to taint the purity of a marriage covenant. Satan thrives on destruction of relationships between husbands and wives, parents and children. The list goes on and on. Regardless of what Satan throws at us, we’re better off in the long run if we cling to Christ and remain in our covenant with our mates. We should look to Christ as our ultimate example. Are you living up to your spouses’ expectations? That doesn’t matter as much as living up to the expectations of Jesus Christ. Christ instructs us to love one another. The Greek word is AGAPE which means an unconditional love. A love that is always an “outgoing concern” for another person’s well-being. Not a love that has conditions or requirements! In other words, regardless of how someone treats you, show love in return. Don’t have requirements or rules that say — “As long as you do … or as long as you do not do …, I’ll love you.” Love does not and should not work that way. Live is “dealing with any and all aspects of our relationships with a caring attitude, without placing blame or fault”. These last two should be addressed with one another in such a way that the issue-at-hand is resolved for the benefit of both spouses and not be a heavy burden. Remember God put you together and He does not want to see any separation! Remain as one! Remaining as a family structure is not an easy task in this present society that we live in. No matter where you go there are indications that there is a lack of a family structure. Marital strife is the number one problem in the church today as we know it. This shouldn’t be! Again, where is our focus? Divorce is becoming the norm in our society and tight-knit families an oddity. With single parenthood (much of which was not the fault of the spouse with the child) constantly rising, there is only so much the mother or father is some cases, can do. Worse yet, teen pregnancy rising on a daily basis. Our children are not being taught true “family values”. Values to live by on a “day in — day out” basis. With an “I got mine, you get your own” kind of attitude, things only get worse. Married couples need to develop a closer relationship with Christ! Again, where is our focus? 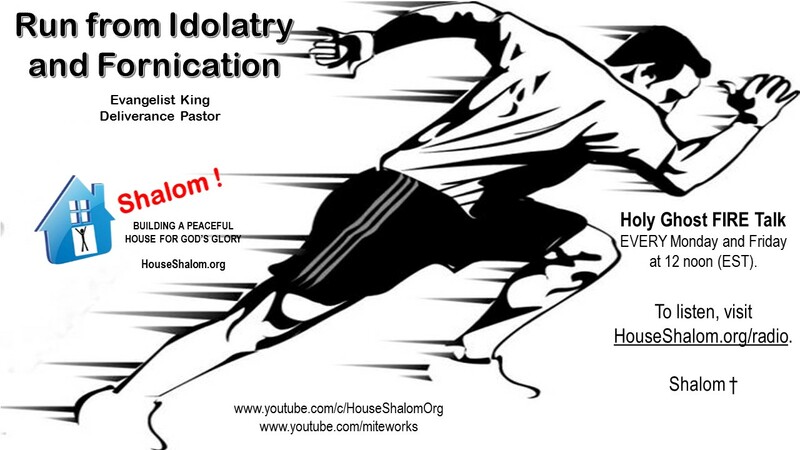 God ordained marriage to be a blessed and holy union! Not to be gotten out of, except through death! Present day marriage vows have the statement, “Till Death Do Us Part”. We’re not taking this part of our marriage covenant seriously! We need to reevaluate our commitments that we have made to our spouse. More importantly, we need to reevaluate our commitment and our focus to Christ! Rededicate yourself to your spouse. No matter what you think your “problem or situation” is. Stop trying to change things. You can’t. I can’t. Only God can. Re-focus your attention on Jesus Christ and He will in return make the necessary changes in your marriage and family life. Christ will then allow you to be examples of “Light” in this world of darkness. Divorce should not be an option to consider, unless there are scriptural reasons. Matthew 5:32 says, “Only for marital unfaithfulness”. 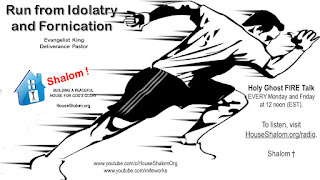 Marital unfaithfulness does not limit itself to adultery only! Marital unfaithfulness can also include improper thoughts or lusts, physically and spiritually speaking. 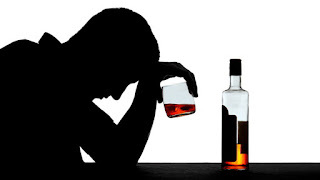 There are forms of misconduct in a marriage that could also be included such as alcoholism, physical abuse, emotional abuse or just plain neglect. If Christ is in us, there should be no reason for neglecting our spouse or our family. Sometimes we feel like we need to “get away”. Well, that may be, but plan a family “get away”, or a special trip for just you and your spouse. Another thing to remember, if you feel you need a “break”, your spouse could very well need a break as well. Work on your own faults! Work them out with Jesus Christ! And Christ will help you to refocus your attention so that your priorities will be in the right place! Remain where you are — in love! Remember your Responsibility, and Remain where you are! At the end of today's Shalom Morning Prayer, a young man asked if he could personally talk to me so I instructed him to send me an email. He then shared his story regarding practicing sin, hanging with the wrong friends, temple unholy and the demonization of his house. All these things were spoken by the Holy Spirit in the teaching session. AMAZING!!! God is Awesome!!! Tune in and listen to the Holy Spirit talk to you! Shalom Morning Prayer EVERY Tuesday at 8:00 am (EST). 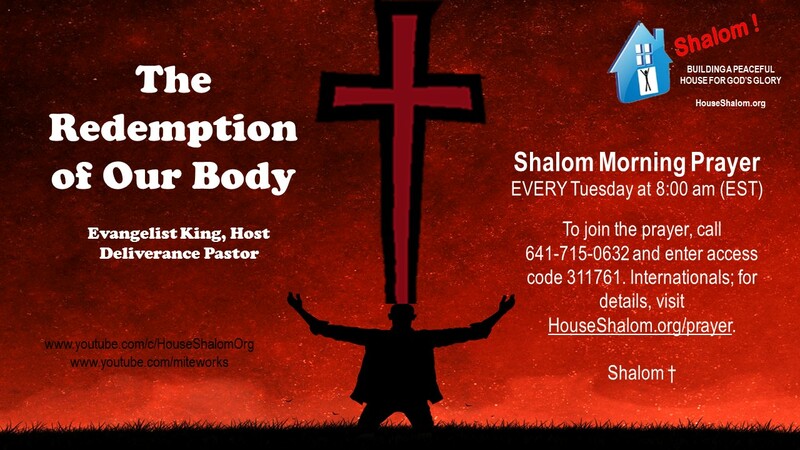 Call 641-715-0632 and enter access code 311761. Internationals; for details, visit HouseShalom.org/prayer. Shalom. The word "hyperactive" means "abnormally or extremely active". Tune in and listen to the Holy Spirit talk to you! 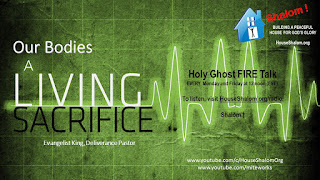 Holy Ghost FIRE Talk LIVE Broadcast EVERY Monday and Friday at 12 noon (EST). 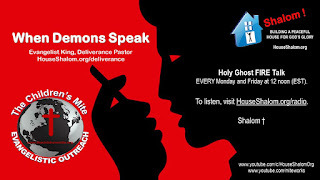 To listen, visit HouseShalom.org/radio. Shalom. 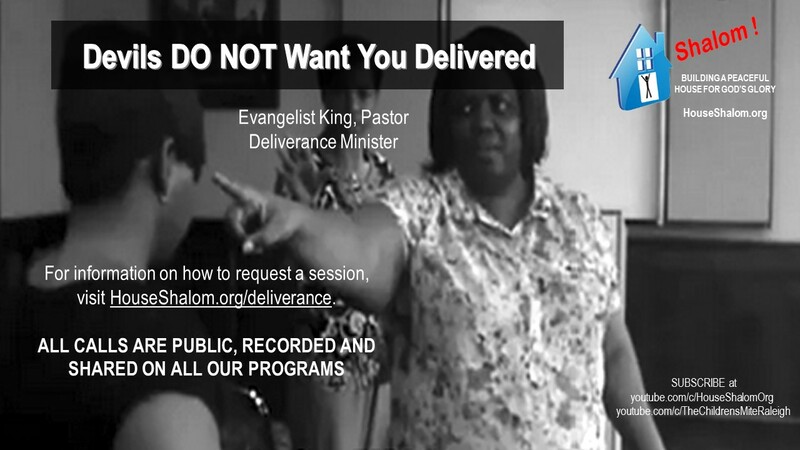 Evangelist King hosts call-in deliverance sessions on Wednesdays and Thursdays at 2:00 pm (EST). 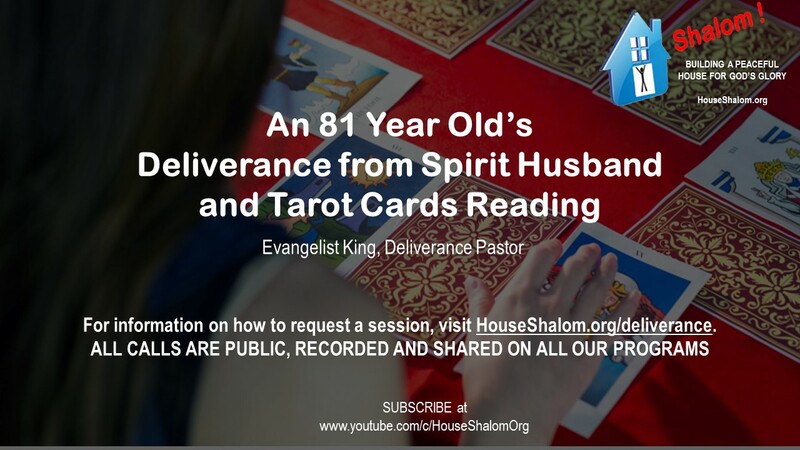 To request a session; for details, visit http://HouseShalom.org/deliverance. Shalom.